Our sign out front each week gives the service title, followed by the speaker, so what the sign said all that week was: “Render Unto Rev Garmon.” Which, of course, was not what we meant. This week the sign out front said, “All dried up, Rev. Garmon.” I actually did get one call of concern. "Are you saying you’re all dried up, Meredith?" the caller asked. I said, no, I’m just going to be talking about the water supply situation. As for me, well, I’m no more dried up than I ever have been. It’s not about me. What it’s about is the flow. 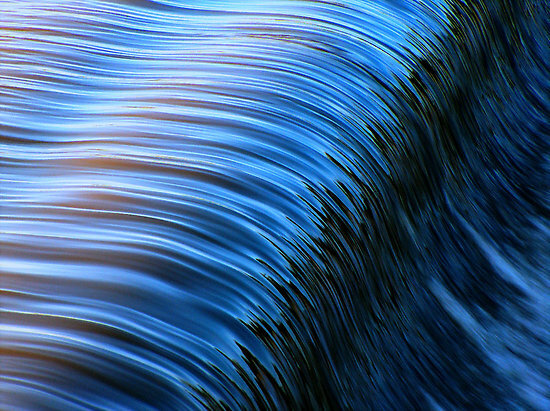 When it comes to flow, physically and spiritually, water is our paradigm. Water is the source from which all life springs. We require the constant flow of water into us, through us, and out. It’s not the stuff itself that is the issue so much as the flow of it. Water is not like, for instance, oil – the using of which breaks apart the chemical compound so the stuff doesn’t exist anymore. 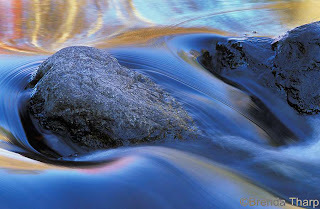 Water, pretty much, is neither created or destroyed, it just circulates. When we speak of running out of it, or the threat or possibility of running out of it, we are speaking loosely because there’s always as much water as there ever has been – it just circulates into different places for a while. And that can certainly be a problem for us when the parts of the earth that we're used to having a lot of water stop having so much and become all dried. When that happens, the water hasn't ceased to exist. It's moved somewhere else. It isn’t quantity that is the issue, but motion and flow. In this regard water is a metaphor for our life. In so many ways we are prone to think in terms of “having” and “not having” – gaining, acquiring, possessing, holding. What have I got? What have you got? What am I trying to get? Having it, how do I hold on to it? Water doesn’t work that way. There is no holding it. It has to flow. Our bodies need to lose water every bit as much as they need to take it in. What we need is a couple liters a day or so, under normal conditions, flowing through us. The first spiritual lesson is air, which also must flow through and cannot stay. The very word “spirit” comes from the word “breath” – hence “re-spir-ation.” Cut off that flow, and most of us pass out within a couple minutes. It’s a very immediate, constant teacher that life isn’t about having, but about passing through. 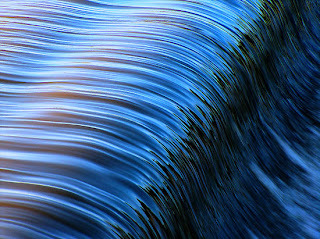 Water repeats that lesson for us at a different rhythm. Cut off the water flow, and we’re in trouble in a couple days or so rather than a couple minutes or so. 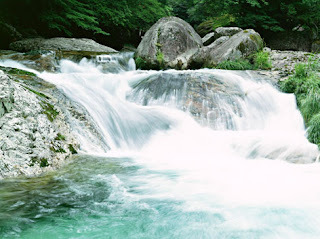 I invite you to notice the two most basic rhythms of nature: the air flow and the water flow. There’s a subtle shift in orientation when I’m attuned to the flow through, rather than the grasping and holding. When I'm attuned to the flow, life feels moist, juicy, and flourishing. When I'm attuned to grasping and holding onto what I've got, life feels dried up, brittle, and unfertile even in the midst of bounteous flow of everything I need. This is part 1 of 5 of "All Dried Up"
Next: Part 2: "Don Quixote's Path of Least Resistance"